For the last 17 years, Champs Chimney has been the comprehensive chimney and venting care company trusted by residents of Niskayuna, Ballston Spa, Rexford, East Greenbush, and the neighboring communities. We’re licensed, insured, honest, and dependable, and deliver outstanding customer service that elicits rave reviews, and we’re committed to keeping our service level as high as possible. Since day one, our goal has been to ensure the complete satisfaction of every customer and to make it easy for our neighbors to enjoy their heating systems, year after year. We serve the entire Capital District of NY State, from Albany to Schroon Lake, and strive to deliver outstanding customer service with each and every phone call and service call. The safety and comfort of our customers is of peak importance to us, and we know that the only way we can provide the level of service our customers deserve is by investing in our team, each and every day. That’s why we invest in educating and training and make sure our team members are HeatShield® certified. We also maintain membership with the National Chimney Sweep Guild (NCSG), which provides ongoing education and helps us stay up to date on all the latest trends, safety procedures, codes, and other necessary information. We want you to feel confident that we will meet all of your needs! We also offer sales and installation services so that our customers never have to look far when they need quality home heating appliances and products. Whether you’re looking to improve the heat output of your fireplace by investing in an Ahren-Fire Ceramic Replacement Firebox System, or you’d like to update your hearth with a new stove or fireplace insert, we’ve got the best of the best right here and we guarantee expert installation services. Choose from Regency, Osburn, Hampton, Breckwell, and Hitzer’s finest coal, wood, pellet, and gas appliances and let our professionals make sure everything is installed properly and ready to be enjoyed. We also offer financing — now, that’s hard to beat! What’s even better? When you purchase from Champs Chimney and have it installed and maintained by our team, we personally guarantee the installed product for three years. No matter what happens, we’ll repair or replace the product free of charge, no questions asked, for those first three years, if needed. We travel north to the Champlain and Mooers areas; east to Ticonderoga, Hampton, and Granville; south to Elka Park and West Kill; and west to Oppenheim, Charlotteville, and Hoffmeister; so wherever you are in the Capital District, you can count on us when you need the services of knowledgeable, local chimney experts. Learn more about our service area. Ready to find out why and how we’ve developed a loyal following in the greater Albany area? Call us at 518-307-7370 or fill out our online scheduling form and we’ll be more than happy to set you up with an appointment! In the meantime, please feel free to browse our website and learn more about our company and our services. If you have any questions, simply give us a call or contact us here. We look forward to serving you! Looking to make your outdoor experience better as well? We also sell and install retractable awnings — learn more! 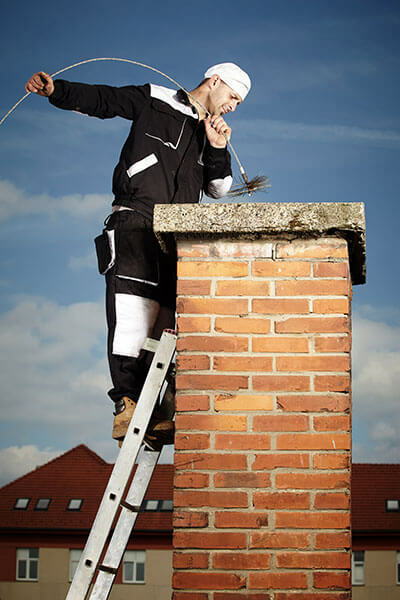 You can relax in front of your stove or fireplace in total safety and comfort when you schedule your chimney and fireplace services with the professionals at Champs Chimney Service.